Israel's captivitiy begins the migration westward. 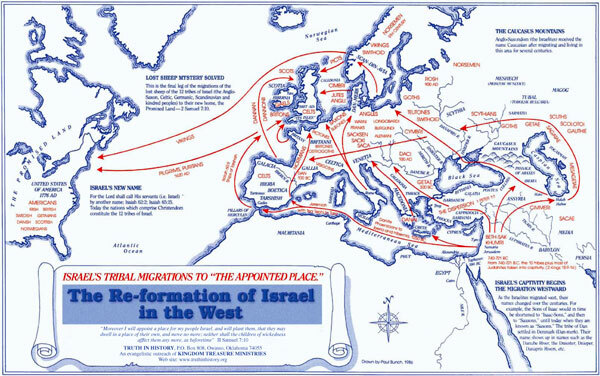 As thee Israelites migrated west, their names changed over the centuries. For Example, the Sons of Isaac would in time be shortened to "Isaac-Sons," and then to "Saxsons," until today when they are know as "Saxtons." The tribe of Dan settled in Denmark (Dan-merk). Their name shows up in names such as the Danube River, the Dniester, Dnieper, Danapus Rivers, etc.